The word "nearsighted" is a common term used to describe myopia — the condition where it's impossible to see things clearly unless they are relatively close to your eyes. A nearsighted person typically will be able to read a book or see a computer screen with ease but will have difficulty seeing things across the room, such as writing on a chalkboard or whiteboard in a classroom. A nearsighted eye generally is an eye that has grown too long, so light comes to a focus in front of the retina instead of directly on it. This error in focusing position (or refractive error) causes objects that are far away to appear blurry. In some parts of the world, people describe a nearsighted person as being "short sighted." The two terms mean the same thing. Nearsightedness is very common and its prevalence has been growing rapidly in recent years. According to a report about myopia published by the World Health Organization and the Brien Holden Vision Institute, myopia currently affects more than 2 billion people worldwide. If current trends continue, approximately half of the global population may be nearsighted by the year 2050, according to the report. Uncorrected nearsightedness is a leading cause of vision impairment throughout the world, and high degrees of myopia (corrected or uncorrected) increase the risk of retinal detachment and other serious eye problems that can lead to blindness. For these reasons, researchers are looking for effective ways to control the development and progression of myopia. Currently, there is no cure for nearsightedness. But blurry vision caused by being nearsighted usually can be fully corrected with eyeglasses, contact lenses or refractive surgery (such as LASIK). Eyeglasses are the most common treatment for myopia. For higher amounts of nearsightedness, high-index lenses reduce the thickness and weight of the glasses. Contact lenses are available for virtually any amount of nearsightedness, even very high myopia. Also, ortho-k contact lenses have been shown to slow the progression of nearsightedness in children. LASIK and other refractive surgery procedures should be considered only after nearsightedness has stabilized — generally, sometime after age 18. 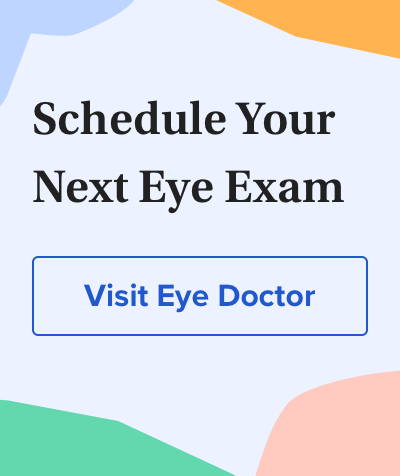 To see if you or your children are becoming nearsighted, schedule a comprehensive eye examination with an eye doctor near you.